Panasonic has launched Panasonic P91 smartphone in India. It has a 5-inch HD display powered by a quad-core MediaTek MT6737 processor with 1GB of RAM and 16GB of internal storage. Dual SIM device runs on Android 7.0 (Nougat). It has an 8-megapixel rear camera with LED Flash and a 5-megapixel front-facing camera.Panasonic P91comes with a glossy textured finish comes with dedicated microSD card slot Packed with a 2500mAh battery. With P91 we aim to deliver exciting features and experience at an affordable price. Our new smartphone is a VoLTE device with high sound quality, non-hybrid sim slot, and attractive glossy back finish. P91 is a smartphone which comes with style and assists our consumers on the go. It has smart gesture features which let you assign a particular feature to a certain app. 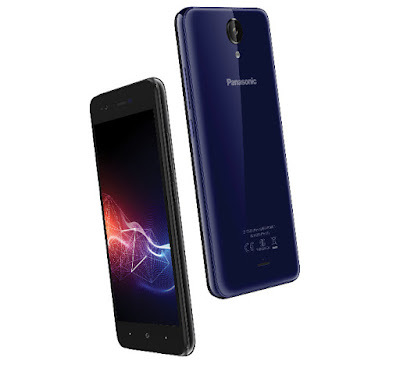 Panasonic P91 comes in Blue, Gold and Sand Black and is priced at Rs. 6490. It will be available at all authorized Panasonic outlets.